Canon is celebrating the 25th anniversary of the EOS-1 series, the company’s flagship range of SLR cameras, which began with the launch of the EOS-1 film SLR in 1989. CPN recently got the unique opportunity to talk to two of the key men behind the development of the EOS-1 series and EOS System – Tsunemasa Ohara and Yoshiaki Sugiyama of Canon Inc. in Tokyo. Below is an excerpt from CPN on the interviews. They reveal the secrets behind the historical development of the EOS-1 SLR cameras. Yoshiaki Sugiyama has worked on the design of Canon SLR systems since 1978, including the T90 (1986), the EOS 650/620 (1987) and the EOS-1 (1989) cameras. CPN spoke to him about the history and development of EOS-1 series SLR designs. 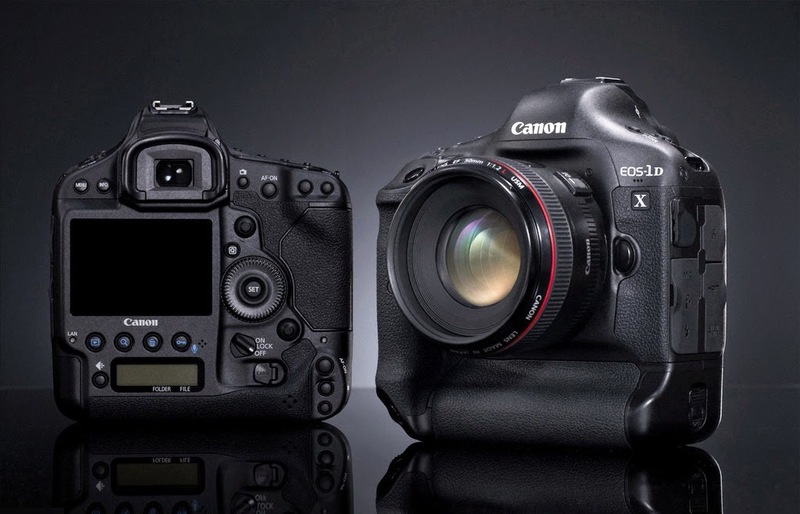 CPN: Many say that the ‘grandfather’ of the current EOS-series design was the Canon T90. Would you agree and, if so, why? CPN: How have ergonomics evolved as camera technology has improved? YS: “Along with rapid advances in electronic technology with the EOS-1 in 1989, the main construction of the camera transitioned from a number of motors to mecha-electronics controlled by electronic circuits, and the freedom in core construction of traditional mechanisms rapidly increased. Additionally, along with the more compact and dense input/output parts positioned between the camera and photographer, there was more freedom in adjusting the layout of controls; making it possible to create the optimal layout for a person operating a camera. As an example, the Quick Control Dial which was implemented on the EOS-1 (1989) that made it possible to instantly apply exposure compensation while looking through the viewfinder, and the control system that allowed identical controls in vertical and horizontal positions on the EOS-1V (2000) continues through to this day as the basic control schemes of the EOS-1 system. CPN: When you design a camera, what user criteria do you take into account? CPN: Are photographers using cameras differently these days to, say, 20 years ago? Does this affect the way that you look at the design of cameras? CPN: What are the most important considerations/key criteria when you begin the process of designing a camera? CPN: How have materials – for example, plastic, magnesium alloy and rubber – and their use influenced the way you design a DSLR? CPN: How much influence do end-users (photographers and filmmakers) have on the way you design an EOS camera? CPN: Do you design a camera with a particular lens in mind? Or are the designs of EF lenses and EOS cameras always kept separate? CPN: What has been the most difficult design challenge in the history of the EOS series in terms of making sure all of the aspects of the camera’s specifications/technologies are fitted into a relatively compact body? CPN: One of the design and functionality aspects of EOS cameras that has found favour with many photographers is the ability to customise buttons. Can you explain how this was achieved? CPN: Is there an optimum size for a camera when it is designed bearing in mind the differing size of peoples’ hands? CPN: Many photographers comment that EOS DSLRs are comparatively lightweight and easy to use – does the need to keep the weight of a camera as low as possible affect design decisions? If so, in what way? CPN: How do you measure or know how to design a control dial, button or menu that is intuitive to use? Is it via user feedback or are the designs of controls driven by the features of the cameras? CPN: Which camera made the biggest leap in terms of changing design from the previous model in the EOS series and why was this design changed so much? CPN: How much synergy is there between the designs (and designers) of the EOS DSLRs and the designs of Cinema EOS cameras such as the EOS C500 and EOS C300? Tsunemasa Ohara has worked on the development of EOS System since 1984, including heading up the ‘EOS Digital Project’, the ‘EOS-1D X Project’ and the ‘EOS Professional Business Project’. CPN spoke to him about the history and development of EOS-1 series SLR technologies. 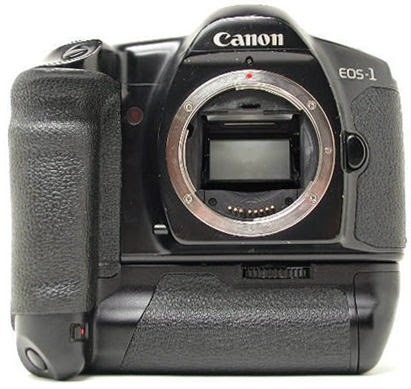 CPN: What was the original concept for the first EOS-1 series camera in 1989? Tsunemasa Ohara (TO): “The EOS [system] was developed as an SLR camera system that enables fast and comfortable AF [autofocus]. The first EOS product was launched in 1987, and from the beginning of development we had the idea of developing the ‘EOS-1’ as the flagship camera for professionals in the EOS series. CPN: Has your vision of the EOS-1 series and the EOS System remained true to its original ideas? CPN: Of all of the EOS-1 series cameras you have overseen the development of do you have a favourite? If so, which camera is it and why is it your favourite? CPN: What, in your view, has been the biggest advance in the EOS-1 series system over the past 25 years? CPN: How has Canon’s relationship with professional photographers who are working with EOS-1 cameras changed over the course of 25 years? CPN: What requests have professional photographers made which have most influenced design and technology decisions for the EOS-1 series? TO: “AF performance. In actual shooting situations, it is necessary to focus on a number of different subjects. For example, in dark shooting situations, shooting fast moving sports, subjects who move all of a sudden, etc. Even in scenes like these, pro photographers always request instant, high-precision focusing performance. Whether focus is high-precision or not has a significant impact on the photo. CPN: Have we now reached the absolute peak of AF performance within the EOS System or what improvements could possibly be made? CPN: Looking through the timeline of technologies for the EOS-1 series are there any technologies that didn’t work as well as you’d hoped? TO: “In the development of the EOS-1 series, I believe we have used the best technology available at that point in time to create the best possible camera. On the other hand, if we determine that the degree of completion or reliability of that technology is insufficient for the EOS-1, we will not include it on the camera. Technology included on the EOS-1 series products used by professional photographers must be at a high level of completion. CPN: For the EOS-1 series critical areas of performance have always been AF and speed related. Why is this? CPN: How can sensor and signal processing technology improve in the future? CPN: Many of the latest technical advances in digital photography are amazing; which single technology do you think has been most important for the Canon EOS System? CPN: The EOS-1D X has enjoyed a fantastic life at the top as THE pro DSLR of choice. What do you think has contributed most to this? CPN: What do you think a potential successor to the EOS-1D X will have to deliver in terms of features and improvements? For example, maximum frame rate, ISO, metering and AF performance. CPN: Where do you see the future development of EOS-1 series cameras going?